Bubble cap tray is the oldest liquid-vapor contacting device in distillation columns. 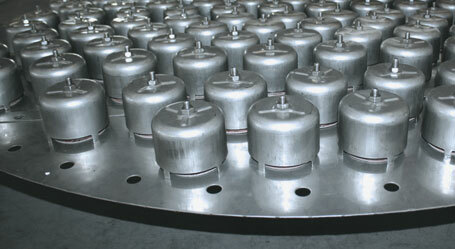 In occasions when low liquid loads and very high turndown ratios are required, bubble cap trays are commonly used. This tray is the most expensive option and it has lower capacity compared to sieve and valve trays.